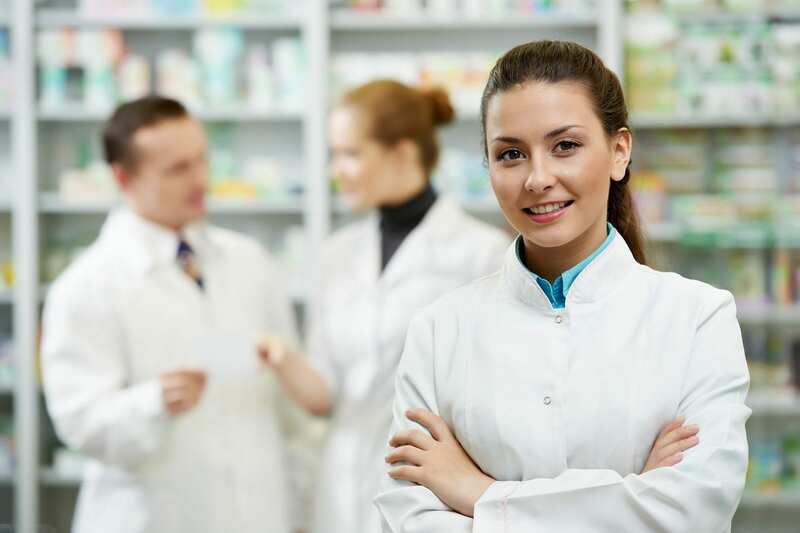 Apply for certification from the Pharmacy Technician Certification Board (PTCB). In this latter case, applicants must present a high school diploma and have no felony conviction. Following is a summary of the best pharmacy technology classes in Los Angeles, California. Students complete ACC’s pharmacy technician training in just nine months and receive a diploma at the end of the training. The objective of the program is to prepare students with the skills and knowledge for a pharmacy tech career related to the manufacturing and distribution of pharmacy products. Graduates are also prepared for real-world scenarios through training in basic computing, methods of data input and maintaining patients’ records. Course curriculum covers several modules including pharmacy law, drug fundamentals, drug distribution, pharmacology, retail pharmacy, I.V. preparation, and pharmacy externship. Tuition is $16,984 not including textbooks and supplies. Financial aid may be available through grants, scholarships and loans. Cal State L.A.’s comprehensive Pharmacy Technician program provides students with 50-contact hours of training. Instructors prepare students to take and pass the PTCB exam and assist a licensed pharmacist at a hospital or community pharmacy. Classroom lectures cover areas such as pharmacy medical terminology, generic and brand name drugs, I.V. flow rates, dosage calculations, inventory control, billing, insurance claims, dispensing prescriptions, drugs classifications, children’s dosages and total parenteral nutrition (TPN). Applicants must have a high school diploma or GED equivalent because these are a requirement for the PTCB exam. Classes, taught by a licensed pharmacist, meet two evenings a week from 6:00 pm to 9:30 pm. Tuition is $1,099 textbook included. Graduates of CBD College’s Pharmacy Technician program have the knowledge and skills to work under the direction of a licensed pharmacist. Apart from classroom lectures, students get the opportunity to practice their skills through labs and a clinical externship at local hospitals, pharmacy, and retail chains. The program offers 720 hours of training over the course of 9 months. Course content includes CPR, cancer and oncology agents, pharmacy calculations, pharmaceutical procedures, federal and state laws, general concepts of pharmacy, inventory and billing, sterile products, repackaging and compounding, anti-inflammatory drugs, career development and clinical externship. Upon completion of the program, students can apply for licensure as a Pharmacy Tech within the state. Tuition is $11,484 plus an additional $1332 for textbooks, uniform, registration and background check. Evans Community Adult School provides an affordable way for California residents to begin a career as a pharmacy technician. The competency based course provides 540 hours of instruction including theory and clinical training. The contact hours is divided into 300 classroom hours and 240 hours for externship at a local pharmacy. Applicants must attend a mandatory orientation before applying for the program. Prerequisites for admission include a high school diploma or GED equivalent, reading level of 9.0 and candidates must be at least 18 years old. Classes run from Monday to Friday; 8 am to 3 pm. Tuition is $673 plus $398 for textbooks, uniform, CPR certification and drug and background screening. The 33-week pharmacy tech program at Everest College (West Los Angeles Campus) equips students with strong clinical and theoretical knowledge in the areas of health care systems, nutrition, anatomy, pharmacology, administration and medical terminology. 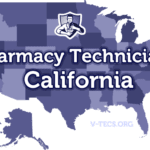 Upon completion of the program, graduates can register for PTCB multiple choice exam and get registered as a licensed pharmacy tech in the state of California. Tuition for the program is $16,120 plus $1,001 for books and supplies. Students enrolled in Los Angeles City College’s pharmacy tech program learn the fundamentals of mixing and packing prescriptions, collecting payments, insurance claims, managing inventory, purchasing, referrals, and dosage calculations. The course provides 182 hours of classroom lectures (including 42 hours online) and 120 hours for hands-on training at a community pharmacy. Applicants must be at least 18 years old and understand basic computer operations. Tuition is $2,895 inclusive of books, externship and supplies. A flexible payment plan is available for all students. Upon completion of the training, graduates become eligible to register as a pharmacy technical within the state. Los Angeles Ort College offers flexible morning, afternoon and evening pharmacy tech classes. Students can complete the training in 30 weeks to 45 weeks based on the schedule. The 30-semester credit hour program provides a total of 720 classroom hours. Tuition is $18,059 plus $1,054 for textbooks and supplies.